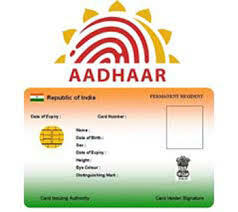 1 What is use of Aadhar card number ? 1.1 How to keep my document secure ? 1.2.3 How to use Digital Locker step by step ? 1.3 What is OTP? Sometimes not getting instant OTP for login? 1.4.0.0.1.1 How to upload a document in my digital locker? What is use of Aadhar card number ? The Indian government now try to make the best use of Aadhar card number.In November 2014 the Indian government had proposed a ‘Digital Locker’ .DigiLocker was proposed would be linked to Aadhar card number of person and would then enable to store government issued documents. How to keep my document secure ? Digital Locker (DigiLocker) | Digital India Programme to keep all certificates from birth date certificate to educational certificate, in digital format online and secure access using Aadhar Card number. Government of India started new Maha Digital Locker is one of the key features under the Digital India Programme. A beta version of the E-locker has been released by the Department of Electronics and Information Technology Government of India. The Goal of digital Locker is minimizing the usage of physical document and easily sharing of e-document. The sharing of the e-documents will be done through registered place thereby ensuring the quality of originality of the documents online. Using this Digital India project we can also upload our own electronic documents and digitally sign e-document using e-sign facility. These e-document can be shared with government offices or other entities. A beta version of the DigiLocker has been released and Government of India invite proposal and feedback on the services which can be provided by Digital Lockers System (Digital India Programme) for the residents. Last date for sending your proposal is 10th April 2015.Beta version of the digilocker is being manage by the Maharashtra government and Tata Consultancy Services. Reduce the use of Physical documents (GREEN IT). Authentication of the e-documents and there by remove usage of fake documents. Secure access to Government of INDIA issued documents through a Government of INDIA website. Make sure that privacy and authorized access of data. The digilocker is digital India project focus to placing Personal, Educational, passport number and PAN card details of every Indian in a Digital form. Providing facility to upload document in a standard xml format and creating them electronically available e.g. Registrar Office, Income Tax department, University, Municipal council etc. Digital Locker of each person is linked to their Aadhar card number. Person who uses the Digital Locker service using Aadhar card number and OTP (One Time Password) authentication. 10MB of free space in the digilocker to securely store individual documents and store links (URI) of Government department or agency issued e-documents. List of register issuers which have issued e-documents to residents and list of requesters which have accessed resident’s documents. Easily sharing of e-documents online with any registered requester. Repository is a set of e-Documents which are uploaded by issuers in a standard xml format and exposing a set of standard APIs for secure real-time search and access. Access Gateway gives a secure online mechanism for requesters to get e-documents from various repositories in real-time using e-Document URI. The URI (Uniform Resource Indicator) is a link to the e-Document inserted by an issuer in a repository. The gateway will check the address of the repository where the e-Document is stored using the URI and will fetch the e-Document from that repository. Linked to each resident’s Aadhar number. Currently accessible via government India website, will be made accessible through mobile APPs. 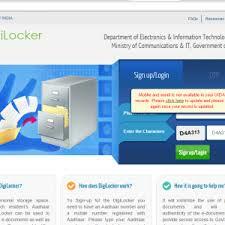 Please visit Digilocker to sign-up for Digital Lockers using Aadhar number. We can view the list of registered issuers and requester on Digital Locker System. How to use Digital Locker step by step ? 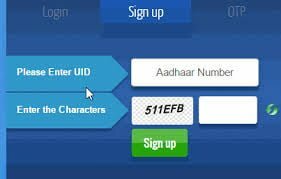 To start account in Digital locker Aadhar number is required, also linked your Aadhar number and mobile number in the UIDAI System. Before signing up for digilocker stpe 1 is necessary. OTP (one time Password) will be sent on your linked registered mobile number. e-Know your e-KYC will be done with UIDAI. Once e-KYC is successful, you can view the URIs of e-Documents which have been inserted into the Digital Locker by various register issuers. You can also upload your e-documents in their Digital Locker and eSign them. You can share private documents with requesters by giving a link to the e-Document to the email address of the requester. Register on Digital Locker System to get unique Issuer ID. After Registration issuer can upload e-document in slandered xml format in repository with the help of repository service provider API. Each e-document inserted in repository database will have unique URI. This URI is formed with the help of issuer unique ID, Document ID and Document Type. URI generated by this process will be pushed to particular resident’s digital locker based on Aadhar number. Like Residents and Issuers Requesters also needs to register with Digital Locker system. After registering in Digital Locker system requester can use document URI to securely get the documents from the repository. What is OTP? Sometimes not getting instant OTP for login? OTP is a one-time password generated by UIDAI system and that password sent to your registered mobile number and email-id which is linked with Aadhar Card Number. This Password is valid only for duration of 30 minutes. 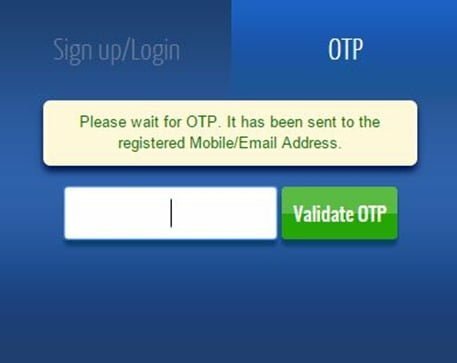 After OTP expiry, the OTP is invalid and if you enter an invalid OTP, you would be get message to request for a new OTP. OTP service is being managed by UIDAI .It check your Aadhar card number and Mobile number for some network it may take few more seconds. Don’t get panic kindly wait for OTP, One time Password is valid for 30 min. Maximum size of e-document is less than 1 MB. So each document to be uploaded should not be greater than 1MB in size. Digital locker allowed pdf, jpg, jpeg, png, bmp and gif fie types. Digital Document consist of URI (links) of the e-documents issued to the resident by the register Government department or other register agencies. Uploaded Documents consist of list of all the documents which are inserted by the resident. DigiSign option‘√’: If a document is e-Signed. In this section you get list of issuer name and number of document issued by issuer to you. This section displays the list of Requester name and the number of documents requested from you by the requester. This section displays the complete list of registered Requester and register issuer along with their URL. How to upload a document in my digital locker? Under My Certificate section you get option of Upload documents. Before actual uploading any document you need to select which type of document (University certificate, Driving Licence, PAN Card number, Voter ID Card, SCC, HSC certificate, smart card, etc.) you want to upload from drop down list. Give the name for document. On the basis of document type, you need to fill in the other details. Browse the file from your local system and upload in digital locker. Each file must be less than 1 MB in size. Only jpg, gif, pdf, png, jpeg and bmp types of file are allowed to upload. Give some description of document but not more than 50 Characters. If successful upload than the document will be shown under ‘Uploaded Documents’ subsection. How to Share the e-documents in my digital lockers? You need to click on share button given under upload documentation subsection against the e-document you would like to share. Once you click on share button dialog box will pop up. Enter email address of the receiver and click on share button. Subject section in email indicate the document name and document type. Body consist of document URI link, Sender Name and Aadhar card number. The Recipient can get the document using URI specify in the email body. URI is a Uniform Resource Indicator made by the issuer department, which is compulsory for every e-document of the digital locker system. This unique URI can be convert to a full URL (Uniform Resource Locator) to access the actual document in particular repository. The Digilocker consist of similar security compare to internet banking. Digilocker require mobile number and email id which is register with Aadhar number so that your OTP will send on mobile number. It is not clear that how to join state government and Central government lockers.